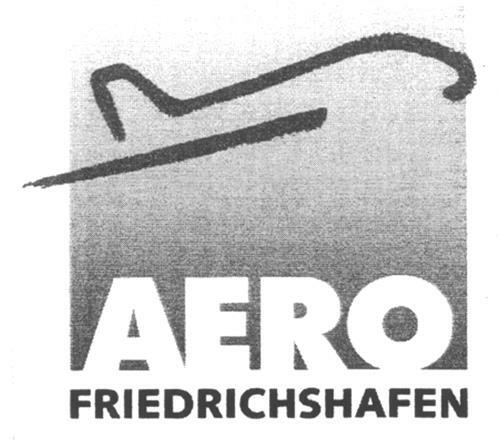 On Wednesday, November 19, 2008, a canadian trademark registration was filed for the above pictured logo by Messe Friedrichshafen GmbH Neue Messe 1, 88046 Friedrichshafen, GERMANY . The Canadian IP office has given the trademark application number of 1419742. The current status of this trademark filing is Interruption of proceeding. The correspondent listed for is BERNARD LETTE of (LETTE & WHITTAKER), 20 QUEEN STREET WEST, SUITE 3300, ONTARIO, CANADA M5H3R3 The trademark is filed in the description of Advertising services, advertising through brochures; business management services; corporate administration; office work; distribution of pamphlets and product samples; negotiation of newspaper subscriptions for third parties; compilation, systematic procurement and forwarding of information in business and trade affairs and in the field of advertising by means of digital, multimedia and virtual information systems; bookkeeping; duplication of documents; personnel and placement service; computerised file management; organisation of exhibitions for commercial and promotional purposes; organisation consultancy, professional business consultancy; marketing, market research and market analysis; publicity work, public relations; promotion and advertising for exhibitors and advertising media; provision and renting of promotional and advertising space, also on the Internet (banner exchange) and other electronic media; renting of advertising material; renting of advertising time in communication media; procuring of addresses for advertising purposes; procuring of trade and business contacts, also on the Internet; negotiations of advertising and sponsoring agreements for third parties; negotiation of contracts for third parties with regard to the utilisation of service agreements; mail order advertising; distribution of advertising material; distribution of advertising material, namely fliers, pamphlets, printed matter, product samples; presentation of products for advertising purposes; presentation of products and services; arranging of advertisements; market communication such as press releases, public relations, publicity work, product promotion and image advisory services for companies; business management, negotiation of commercial transactions for others; business and personnel management consultancy; business consultancy and advisory services; secretarial services; organisation and consultancy of trade fairs and exhibitions for commercial and promotional purposes, also on the Internet and other electronic media; advertising media; business advisory and counselling hotlines; collection and systematic ordering of data, information, images and texts in relation to business affairs and in the field of advertising on computer databases; updating of business information and information relating to advertising contained in digital, multimedia and virtual information systems, such as data in computer databases relating to commercial and business affairs and in the field of advertising; organisation of exhibition participation; presentation of companies and their products and services, also on the Internet and other electronic media; sales promotion and procuring of trade, service and business contacts; commercial transactions with regard to consumer goods and investment goods on the Internet and in other electronic media, also by means of a virtual trade fair; provision and renting of floor space and exhibition stands including the associated equipment; advertising for exhibitors; arranging of advertising services; decoration of exhibition stands and stages; secretarial services; assistance to exhibitors and visitors to trade fairs, hostess services, such as the renting of hostesses for exhibitions. , Photographic, film, optical and electronic equipment and devices; data processing devices and computers; devices for the recording, transmission and play back of audio and image; video, computer and other electronic games, in as far as they are included in class 9; electronic downloadable publications, music, ring tones, games, programs and films; gaming and entertainment machines; components of all above mentioned products; computer and video game tapes, computer software; exposed films, pre-recorded and unrecorded sound and/or image carriers, unexposed films, CDs, CD ROMs, DVDs; magnetic recording media. , Spectacles, sun glasses; spectacle cases, spectacle chains, cords, lenses and frames. , Property management, namely management of trade fair premises. , Construction and erection of exhibition stands, stages and booths; electrical installation, installation of sound and image production and reproduction systems; stand cleaning at exhibitions. , Paper, cardboard boxes, paper articles and cardboard products; products from printing shops, newspapers and magazines, books; catalogues, brochures, flyers; book rests, book covers; photographs, posters; stationary articles; postcards and greeting cards, trading cards, writing paper and envelopes, stamps, notebooks, diaries, notepads, notice boards, address books, writing sets, file covers and folders, calendars, ring binders, exercise books, student time tables, albums, scrapbooks and collection books, paperweights, paper knives, writing pads, desk organisers, containers for writing and office utensils; rulers, rubber erasers, staplers, stapling and paper clips, bookmarks; transfer pictures (to be ironed on or as temporary tattoos), rub-on transfers, paper and PVC stickers, paper bags, paper carrier bags; gift wrapping paper, gift tags made of paper or cardboard; party articles made of paper and/or cardboard, such as blow-out streamers, flags and banners; table decorations, serviettes, table cloths, table mats; writing slates, chalk, adhesives for stationery products and for household purposes, writing utensils, marking pens, cases for writing, painting and drawing utensils, pencil cases filled with marking pens, fountain pens, ball- point pens, pencils, rulers, rubber erasers and notepads; pencil cases and containers, pencil holders, pencil extenders, pencil sharpeners, drawing, painting and modelling products and implements, paintbrushes; artists' materials such as coloured pencils, chalks, palettes and canvass; hobby kits with painting materials; typewriters and office equipment (with the exception of furniture); roll dispensers for adhesive tape, instructional and teaching material (with the exception of apparatus) in the form of printed matter, games, globes, drawing implements for wall boards; printers' type, printing blocks; stamps, ink for stamp pads and stamp pads, ink. , Clothing, namely T-shirts, jersey clothing; belts for clothing purposes, braces, gloves; footwear; cap peaks, headbands; headwear, hats and caps; sun hats; knitwear, sweaters, waistcoats, jackets, polo shirts, shirts, scarves, neckerchiefs. , Telecommunication; press and news agencies; communication via computer terminals; broadcasting of television programs, broadcasting of radio programs, broadcasting of cable television programs, radio broadcasts; transmission of news; satellite transmission; operating and renting of telecommunication equipment; electronic mail services; interactive online services such as the provision of telecommunication channels for teleshopping services; telecommunication routing and junction services; provision of telecommunication connections to a global computer network; provision of Internet accesses; provision of information on the Internet; provision of portals on the Internet; provision of platforms on the Internet; provision of chat-lines, chat-rooms and forums; video conferencing; conferencing; computer-aided transmission of messages and images; collection and delivery of messages and press releases; press agency services; renting of message sending devices; forwarding of messages of all kinds to Internet addresses; web messaging; telecommunication; transmission of data, images and texts in computer networks and other electronic media including the Internet; technical transmission of information by means of digital, multimedia and virtual information systems; provision of an e-commerce platform on computer networks and other electronic media, including the Internet. , Education and teaching, vocational training; entertainment; organisation and conducting of events and competitions, in particular sports and cultural activities, also on the Internet and other electronic media; publication of magazines, printed matter and books in electronic form on Intranet and on the Internet; publication, also in electronic form (in particular online publication), of books, newspapers, magazines, catalogues, pamphlets and brochures, music, videos; lending of books; lending library services; animal training; production of shows, of films; administration of theatrical agencies; organisation and conducting of exhibitions for cultural, entertainment and sporting purposes, also on the Internet and other electronic media; renting of theatres sets; organisation and conducting of educational and entertainment competitions; organisation, conducting and leading of colloquiums, conferences, congresses; organisation of exhibitions for cultural or educational purposes; reservation of tickets for events; production, reproduction, presentation and renting of films and radio broadcasts, production and reproduction of sound and image recordings on other image or sound carriers, presentation and renting of these image and/or sound carriers; organisation and renting of film and sound studios including the equipment, devices and apparatus required for the production of sound and image recordings; renting of radio and television sets and apparatus for the recording, transmission and reproduction of sound and images; theatre performances, musical productions; organisation and arranging of concerts, tours, theatre productions, dances and/or musical performances as well as entertainment shows and corresponding competitions; organisation and conducting of seminars and workshops, also on the Internet and in other electronic media; renting of stage sets and decoration, musical instruments, sound and sound-amplifying equipment together with electronic and electro-technical equipment for the creation of special effects; translation and interpreting services, organisation and conducting sporting and outdoor events, organisation and conducting of sports competitions; organisation and conducting of seminars and workshops, also on the Internet and in other electronic media; renting of stage sets and decoration, musical instruments, sound and sound-amplifying equipment together with electronic and electro-technical equipment for the creation of special effects; translation and interpreting services; ticket sales for events; organisation and arranging of congresses, conferences, seminars and workshops, also on the Internet and in other electronic media; newspaper report services. , Updating and analysis of data, information, images and texts in computer networks and other electronic media, including the Internet; industrial and scientific research; compilation of programs for the processing of data; engineering, technical consulting and construction planning; engineering services (not for constructional engineering); material testing; laboratory services; renting of access time to a database server, namely renting of web servers; recording of video tapes. , Catering; accommodation of guests. , Administration and utilisation of industrial property rights and copyrights; licensing of software; consultancy in the case of questions relating to industrial property rights; granting of licences for industrial property rights; granting of licences for industrial property rights and copyrights; services in the field of copyrights and related protective rights. .
(1) Aeroplanes, helicopters -- Notes: (a) Including parts of aeroplanes (tails, wings, cockpits, etc.). -- (b) Not including propellers for aircraft (15.1.13). (1) - Advertising services, advertising through brochures; business management services; corporate administration; office work; distribution of pamphlets and product samples; negotiation of newspaper subscriptions for third parties; compilation, systematic procurement and forwarding of information in business and trade affairs and in the field of advertising by means of digital, multimedia and virtual information systems; bookkeeping; duplication of documents; personnel and placement service; computerised file management; organisation of exhibitions for commercial and promotional purposes; organisation consultancy, professional business consultancy; marketing, market research and market analysis; publicity work, public relations; promotion and advertising for exhibitors and advertising media; provision and renting of promotional and advertising space, also on the Internet (banner exchange) and other electronic media; renting of advertising material; renting of advertising time in communication media; procuring of addresses for advertising purposes; procuring of trade and business contacts, also on the Internet; negotiations of advertising and sponsoring agreements for third parties; negotiation of contracts for third parties with regard to the utilisation of service agreements; mail order advertising; distribution of advertising material; distribution of advertising material, namely fliers, pamphlets, printed matter, product samples; presentation of products for advertising purposes; presentation of products and services; arranging of advertisements; market communication such as press releases, public relations, publicity work, product promotion and image advisory services for companies; business management, negotiation of commercial transactions for others; business and personnel management consultancy; business consultancy and advisory services; secretarial services; organisation and consultancy of trade fairs and exhibitions for commercial and promotional purposes, also on the Internet and other electronic media; advertising media; business advisory and counselling hotlines; collection and systematic ordering of data, information, images and texts in relation to business affairs and in the field of advertising on computer databases; updating of business information and information relating to advertising contained in digital, multimedia and virtual information systems, such as data in computer databases relating to commercial and business affairs and in the field of advertising; organisation of exhibition participation; presentation of companies and their products and services, also on the Internet and other electronic media; sales promotion and procuring of trade, service and business contacts; commercial transactions with regard to consumer goods and investment goods on the Internet and in other electronic media, also by means of a virtual trade fair; provision and renting of floor space and exhibition stands including the associated equipment; advertising for exhibitors; arranging of advertising services; decoration of exhibition stands and stages; secretarial services; assistance to exhibitors and visitors to trade fairs, hostess services, such as the renting of hostesses for exhibitions. (2) - Photographic, film, optical and electronic equipment and devices; data processing devices and computers; devices for the recording, transmission and play back of audio and image; video, computer and other electronic games, in as far as they are included in class 9; electronic downloadable publications, music, ring tones, games, programs and films; gaming and entertainment machines; components of all above mentioned products; computer and video game tapes, computer software; exposed films, pre-recorded and unrecorded sound and/or image carriers, unexposed films, CDs, CD ROMs, DVDs; magnetic recording media. (3) - Spectacles, sun glasses; spectacle cases, spectacle chains, cords, lenses and frames. (4) - Property management, namely management of trade fair premises. (5) - Construction and erection of exhibition stands, stages and booths; electrical installation, installation of sound and image production and reproduction systems; stand cleaning at exhibitions. (6) - Paper, cardboard boxes, paper articles and cardboard products; products from printing shops, newspapers and magazines, books; catalogues, brochures, flyers; book rests, book covers; photographs, posters; stationary articles; postcards and greeting cards, trading cards, writing paper and envelopes, stamps, notebooks, diaries, notepads, notice boards, address books, writing sets, file covers and folders, calendars, ring binders, exercise books, student time tables, albums, scrapbooks and collection books, paperweights, paper knives, writing pads, desk organisers, containers for writing and office utensils; rulers, rubber erasers, staplers, stapling and paper clips, bookmarks; transfer pictures (to be ironed on or as temporary tattoos), rub-on transfers, paper and PVC stickers, paper bags, paper carrier bags; gift wrapping paper, gift tags made of paper or cardboard; party articles made of paper and/or cardboard, such as blow-out streamers, flags and banners; table decorations, serviettes, table cloths, table mats; writing slates, chalk, adhesives for stationery products and for household purposes, writing utensils, marking pens, cases for writing, painting and drawing utensils, pencil cases filled with marking pens, fountain pens, ball- point pens, pencils, rulers, rubber erasers and notepads; pencil cases and containers, pencil holders, pencil extenders, pencil sharpeners, drawing, painting and modelling products and implements, paintbrushes; artists' materials such as coloured pencils, chalks, palettes and canvass; hobby kits with painting materials; typewriters and office equipment (with the exception of furniture); roll dispensers for adhesive tape, instructional and teaching material (with the exception of apparatus) in the form of printed matter, games, globes, drawing implements for wall boards; printers' type, printing blocks; stamps, ink for stamp pads and stamp pads, ink. (7) - Clothing, namely T-shirts, jersey clothing; belts for clothing purposes, braces, gloves; footwear; cap peaks, headbands; headwear, hats and caps; sun hats; knitwear, sweaters, waistcoats, jackets, polo shirts, shirts, scarves, neckerchiefs. (8) - Telecommunication; press and news agencies; communication via computer terminals; broadcasting of television programs, broadcasting of radio programs, broadcasting of cable television programs, radio broadcasts; transmission of news; satellite transmission; operating and renting of telecommunication equipment; electronic mail services; interactive online services such as the provision of telecommunication channels for teleshopping services; telecommunication routing and junction services; provision of telecommunication connections to a global computer network; provision of Internet accesses; provision of information on the Internet; provision of portals on the Internet; provision of platforms on the Internet; provision of chat-lines, chat-rooms and forums; video conferencing; conferencing; computer-aided transmission of messages and images; collection and delivery of messages and press releases; press agency services; renting of message sending devices; forwarding of messages of all kinds to Internet addresses; web messaging; telecommunication; transmission of data, images and texts in computer networks and other electronic media including the Internet; technical transmission of information by means of digital, multimedia and virtual information systems; provision of an e-commerce platform on computer networks and other electronic media, including the Internet. (9) - Education and teaching, vocational training; entertainment; organisation and conducting of events and competitions, in particular sports and cultural activities, also on the Internet and other electronic media; publication of magazines, printed matter and books in electronic form on Intranet and on the Internet; publication, also in electronic form (in particular online publication), of books, newspapers, magazines, catalogues, pamphlets and brochures, music, videos; lending of books; lending library services; animal training; production of shows, of films; administration of theatrical agencies; organisation and conducting of exhibitions for cultural, entertainment and sporting purposes, also on the Internet and other electronic media; renting of theatres sets; organisation and conducting of educational and entertainment competitions; organisation, conducting and leading of colloquiums, conferences, congresses; organisation of exhibitions for cultural or educational purposes; reservation of tickets for events; production, reproduction, presentation and renting of films and radio broadcasts, production and reproduction of sound and image recordings on other image or sound carriers, presentation and renting of these image and/or sound carriers; organisation and renting of film and sound studios including the equipment, devices and apparatus required for the production of sound and image recordings; renting of radio and television sets and apparatus for the recording, transmission and reproduction of sound and images; theatre performances, musical productions; organisation and arranging of concerts, tours, theatre productions, dances and/or musical performances as well as entertainment shows and corresponding competitions; organisation and conducting of seminars and workshops, also on the Internet and in other electronic media; renting of stage sets and decoration, musical instruments, sound and sound-amplifying equipment together with electronic and electro-technical equipment for the creation of special effects; translation and interpreting services, organisation and conducting sporting and outdoor events, organisation and conducting of sports competitions; organisation and conducting of seminars and workshops, also on the Internet and in other electronic media; renting of stage sets and decoration, musical instruments, sound and sound-amplifying equipment together with electronic and electro-technical equipment for the creation of special effects; translation and interpreting services; ticket sales for events; organisation and arranging of congresses, conferences, seminars and workshops, also on the Internet and in other electronic media; newspaper report services. (10) - Updating and analysis of data, information, images and texts in computer networks and other electronic media, including the Internet; industrial and scientific research; compilation of programs for the processing of data; engineering, technical consulting and construction planning; engineering services (not for constructional engineering); material testing; laboratory services; renting of access time to a database server, namely renting of web servers; recording of video tapes. (11) - Catering; accommodation of guests. (12) - Administration and utilisation of industrial property rights and copyrights; licensing of software; consultancy in the case of questions relating to industrial property rights; granting of licences for industrial property rights; granting of licences for industrial property rights and copyrights; services in the field of copyrights and related protective rights.